In 2014, when I moved from Cleveland to New York City, my mom sent me on my way in a bright red rental car full of the essentials I’d need for my new home. This included a set of pots and pans that only days ago had been scrubbed till they literally (to quote Miss Hannigan) shined like the top of the Chrysler Building! Here's the thing: prior our marathon scrub session, I thought the stainless steel cookware set had “copper” bottoms. I was so, so wrong. The truth was, they'd accumulated rust and tarnished badly in the decade they’d spent in our attic. I wasn’t in the mood to buy new things (the move and NYC rent was already costing quite a bit), but dish soap wasn’t removing the years of dormancy from the bottom of the pans. What is Bar Keeper’s Friend? 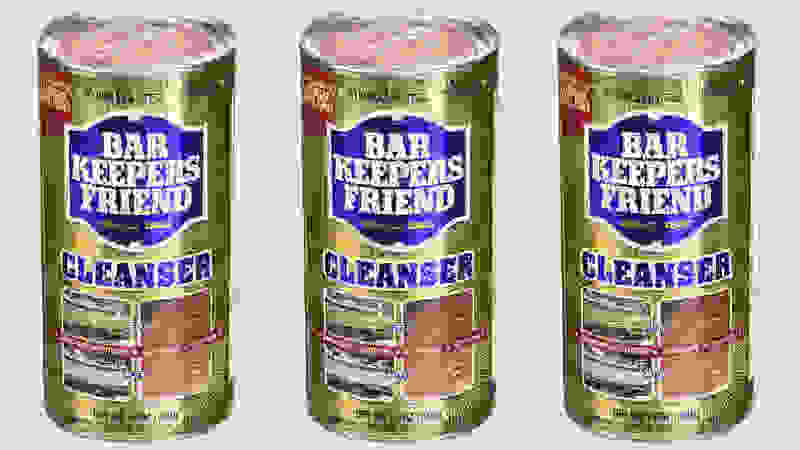 Bar Keeper’s Friend is a “multipurpose cooktop cleaner,” meant to scrub away residue on surfaces to keep them looking like-new. It works on ceramic, glass, and metal cookware, but can also be used across your home—on tiles in the bathroom, from the rims on your tires. The cleaner comes in a few different forms, including powder (the original) and a gentler spray formula. My mom's weapon of choice is the original powder, which is what we used to tackle those pots and pans with the rough side of a sponge and some water. After a few minutes of scrubbing the bottom of the pots, the discoloration disappeared, revealing a silver-bottomed(!) cookware set. Each pot took about five minutes of rough scrubbing—for those that needed it, we used a stainless steel scouring pad, which worked well on those tougher areas. When we packed the car, my mom included not one but two bottles of Bar Keeper’s Friend in my box of cleaning supplies—and they’ve come in handy more than once. Not only is Bar Keeper's Friend great for scrubbing old pots and pans, but I’ve used it to keep my stainless steel sink sparkling and, in one instance of a Very Burnt Dinner, to scrub remnants of charred quinoa from the inside edges of a pot. 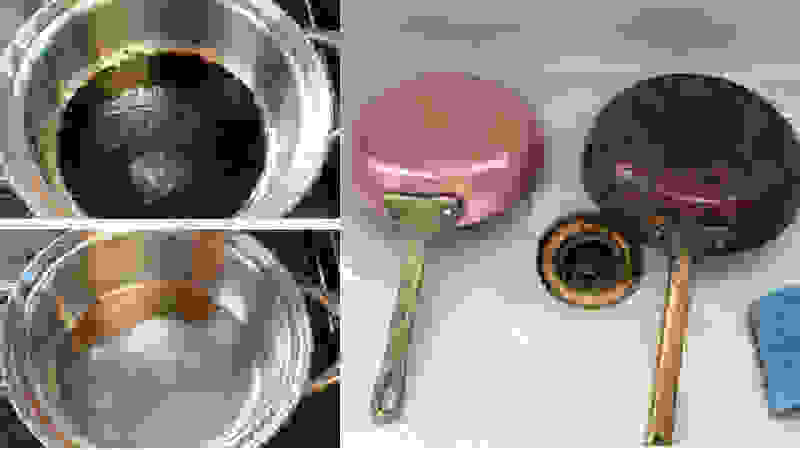 Though my cookware is older and so has lost much of it’s sheen and shine, Bar Keeper’s Friend works quickly and efficiently to keep them all looking clean and crisp. However, I'm always careful to throw the pots in the dishwasher or hand-wash them after using Bar Keeper’s Friend—the cleaner has an odd metallic smell that makes cooking right away unappetizing. On nicer cookware at home back in Cleveland—you know, the Sur La Table stuff—we use the tough powdered Bar Keeper’s Friend to keep those items really shiny, and I truly believe we could put them back on a shelf at the store and no one would know. One warning: you can’t use the cleaner on gold or silver, marble, mirrored surfaces, or granite, so keep it off those countertops unless you want some serious scratching. Personally, I prefer the spray to the powder. 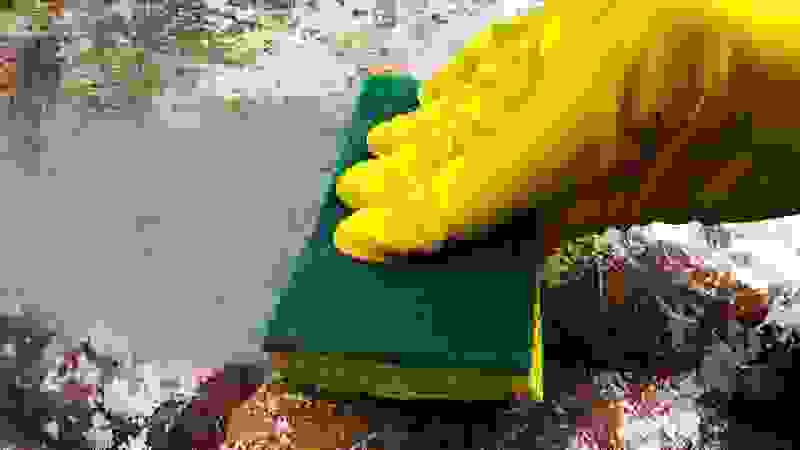 The premixed formula is easier to spread over the stain, and it precludes you from having to add water. I recently tried it in my bathroom, and it worked wonders. A poorly placed shaving cream can on the ledge of the tub left a ring of rust, but a few spritzes of Bar Keeper’s erased it completely. It’s settled: I need a bottle for every room in my apartment.